Some days, you just need an extra set of hands or ten. Between working, both in and out of the home, all the little chores around the house that add up quickly, and ensuring your children’s needs (and a few wants) and taken care of, it may feel like you don’t even have five minutes to yourself every day to stop and breathe. For parents who have special needs children, this hectic feeling is only compounded because of all the additional care and attention necessary to ensure their child’s needs are met, both physically and emotionally. 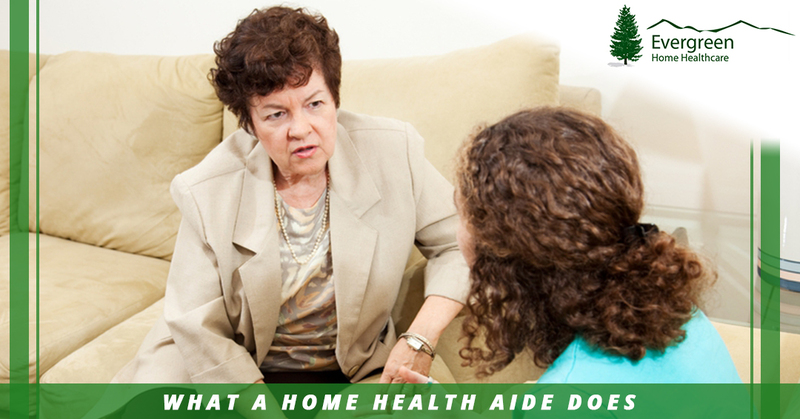 This is where a home health aide can help. The in-home care team here at Evergreen Home Healthcare is here to provide the home health care assistance your loved one needs so you can do more than grab a few minutes a day to stop and collect yourself. Our mission at Evergreen Home Healthcare, we strive to hire a variety of different nursing staff, including CNAs, LPNs, and RNs, so we can provide as much in-home medical care as your loved one needs. Our nurses can offer both acute (short term) and long term care, including private duty nursing for those who need the constant presence of a nurse. This can include tracheotomy and ventilation care, catheter and ostomy care (with bladder and bowel training if necessary), medication management, injection administration, IV insertions and care, wound tending, and so much more. 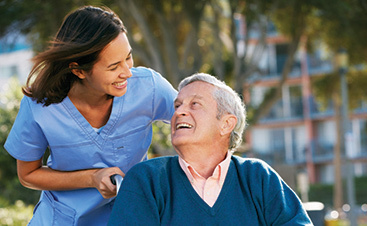 Even if your loved one needs regular blood pressure monitoring and pulse oximetry checks, personal hygiene or ambulation assistance, or ongoing diabetic care, we can have a home health aide come to your home to monitor whatever needs to be checked and keep notes on the medical chart for the treating physician. We will work with you and your primary physician to ensure all medical care needs are being met. By providing a home health aide, your special needs child or elderly loved one can get the medical attention they need from the comfort of home. 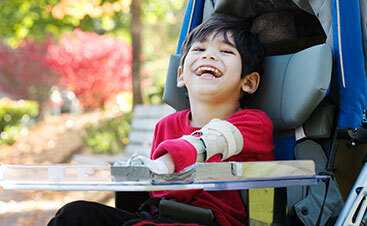 Many special needs children benefit from therapy, whether that means short-term pediatric physical therapy after a surgery or ongoing speech therapy to improve communication abilities. For so many parents and caregivers, bringing therapy services to your home is much easier than all the steps necessary for piling everyone and everything into the car for an hour of therapy multiple times a week. In addition to providing short- and long-term therapy sessions from the comfort of your home, our therapists can provide you with a home safety evaluation and offer suggestions about how to modify your home to make ambulation easier for an elderly loved one or a special needs child. 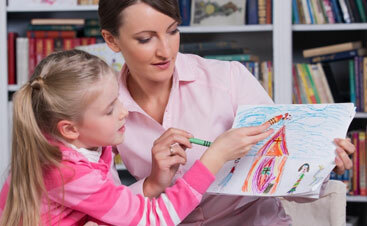 Our therapists can also teach you about the exercises they’re doing with your child and give you additional exercises, games, or other ideas to help your child in between therapy sessions. For many parents with special needs children, ongoing health concerns and in-home care can be a major concern, especially once finances, insurance, and planning for the future get factored in. Evergreen Home Healthcare can provide a licensed clinical social worker to help you with all those details that feel overwhelming. We can help you create a long-term plan for care, work through insurance coverage for in-home care, plan for current and future financial needs, and connect you with other resources in the Denver or Fort Collins areas to further help your family. At Evergreen Home Healthcare, we strive to provide all the in-home care services your loved one needs so you and your family can get back to what’s truly important: enjoying life together. If you have a loved one who would benefit from the assistance of a home health aide, contact the Evergreen Home Healthcare team to learn more about getting home health care assistance in the Denver and Fort Collins areas!